Hints & Clues to Help You Find Forrest Fenn’s Treasure! Follow them in order, and they will unlock the location of the treasure chest and the gold. Then, all you have to do, is hop in your car and go and get it! 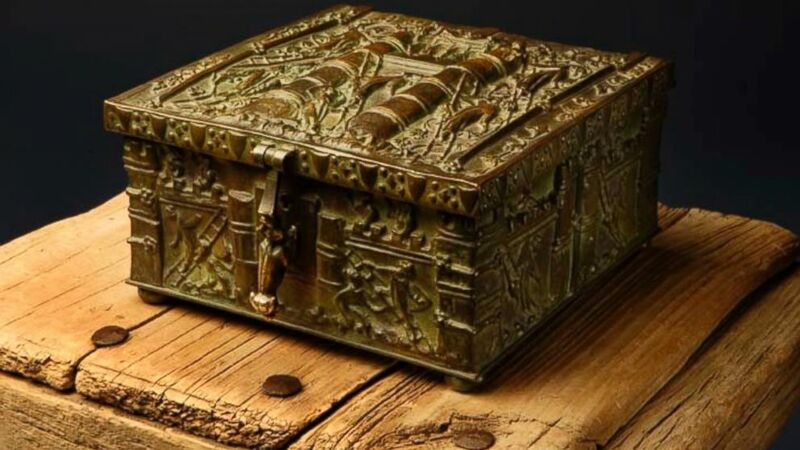 Filled to the brim with over 20 pounds of gold coins, gold nuggets, artefacts and jewellery, rare treasures and more!… Even the box is gorgeous! And, it’s just sitting out there waiting for you! Google’s unequalled satellite mapping service. Top-quality, zoomable, high-resolution maps available online - for free! The only other website you’ll need - but this one! Be sure to START HERE! There are many things to consider before you even begin to try and solve Forrest Fenn’s highly-crafted word-puzzle. Over the years, he has given out many hints and clues, some of which allow you to dramatically reduce your search-area. So, don’t waste time on possibilities you can cross-out from the start! Be smart about it. Start with our ‘WHERE TO BEGIN’ page and start searching smarter! Don’t worry, we’ve got you covered! All the maps you could ever need are right at your fingertips. Everything from hard-copies - to digital - to insanely-expensive ultra-high-resolution aerial shots - to cartographic and topological. Well, you’re going to need a map! Preferably ten or twenty. Keep My Secret - Where? Is the Fenn Treasure in Montana?